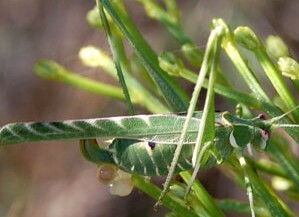 Most orthopterans are plant feeders and get their food by chewing the leaves or epidermis of Sonoran Desert plants. A few are detritivores and others are carnivorous. Many can stridulate and thus make calling noises. Immature orthoperans look much like the adults, but lack mature wings. 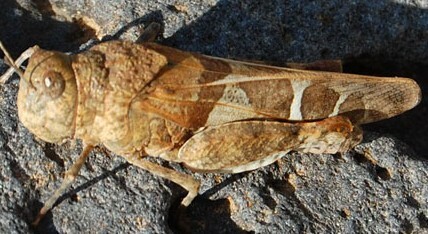 The first pair of wings are leathery and are called tegmena. This guide shows only a select few. Copyright Michael J. Plagens, 1999-2017.